The Disney Store and ShopDisney have released their Toy Story 4 line of toys today (April 15), and we were there minutes after the store opened to get a look at all the exciting new apparel, toys, plush, collectibles and more. Check out our video walkthrough of all the great Toy Story 4 toys and let us know what your favorites are in the comments below (or directly on the video on our Pixar Post YouTube channel). Our favorites have to be the Forky plush, the Special Edition claw machine, Toy Story Spirit Jersey, the updated Toy Box figures (especially the Woody and Forky pack), and the Giggle McDimple merchandise. Click here to purchase these great items on ShopDisney today. 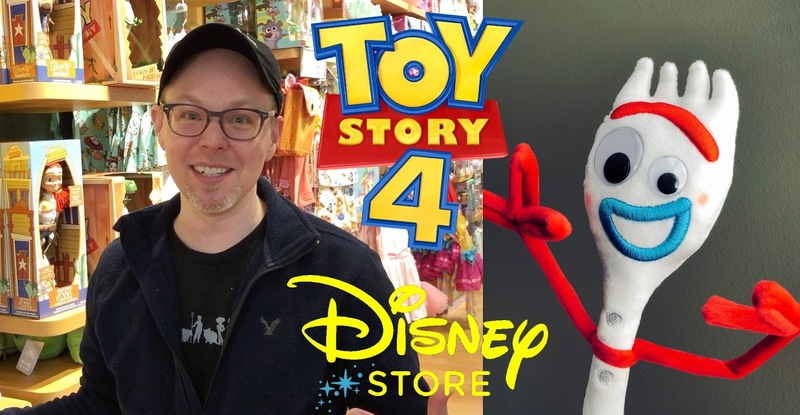 The Toy Story 4-themed toys came out at the Disney Store and ShopDisney today - take a look at we do a video tour of all the new merchandise (plush toys, clothing, toys, bags, suitcase and more).